In overemphasizing the pure pop side of its style, Jukebox the Ghost oversimplifies and dumbs down its songwriting smarts. You'd be forgiven for thinking that Jukebox the Ghost is a breakup album. This recording, the fourth by the Washington DC piano pop band Jukebox the Ghost, has song titles such as "Sound of a Broken Heart", "Made for Ending", "When the Lights Get Long" and "Show Me Where it Hurts". Vocalists Ben Thornewill and Tommy Siegel certainly do spend a great deal of time talking about heartbreak and loss. Running against the grain of this lovelorn lyrical material, however, is the fact that Jukebox the Ghost contains the poppiest, most saccharine, and most simplified songwriting of this trio's still young career. Sure, the staccato chords of "Sound of a Broken Heart" are energetic and catchy as hell, but they also put into question the supposedly heartbroken lyrics. One could liken the song to a forced smile after a tough breakup, but there's none of the underlying hurt or darkness that would make that interpretation plausible. As infectious and energetic as the song is, its emotions can't help but feel manufactured. Even on Jukebox the Ghost's successful LPs, this awkward emotional content is present. The group's best outing to date, 2012's Safe Travels, had more than a few moments where Thornewill and Siegel clunkily try to rationalize the follies of their love lives. Take this generic explanation from "Oh, Emily": "Oh, Emily, you're a funny girl / I didn't mean to break your heart / But I'm lost in love with everyone / So now's as good as any as a place to start." Erm, what? A generous reading of this passage would be to say that this excuse explains everything without explaining anything, but in reality it's just nonsense. As Lindsay Zoladz rightly noted in her Pitchfork review of Safe Travels, "[This] is, of course, a cloyingly euphemistic way of explaining how you fucked up... ["Oh, Emily" is] paralyzingly afraid to offend." I disagree with Zoladz' take on Safe Travels, which is largely negative, but she does rightly identify its weaknesses. The album's strengths, however, are numerous. Some particularly acerbic opinions about Billy Joel notwithstanding, Jukebox the Ghost is the most obvious inheritor of the Piano Man's legacy. For every clumsy lyric there's one that reflects a charming, youthful perspective (see "Adulthood" on Safe Travels). The piano-centric songwriting style of the band results in some memorable melodies and chord progressions from Thornewill, such as "Schizophrenia" on 2010's Everything Under the Sun. And while being overly eager can be these guys' undoing, they have their Broadway aspirations nailed down, as the grandeur of "At Last" off of Safe Travels attests. The smarts of Jukebox the Ghost's music are more sly than they are brainy. For example, "The Spiritual", the gorgeous, gospel closer to Safe Travels is a smart songwriting choice, but nothing so revolutionary as to suggest that the trio is reinventing anything. While the band is doing clever things with the Billy Joel style, they're still obviously beholden to it. With Jukebox the Ghost, however, the smarts have taken a backseat to straightforward pop songwriting. All of the songs fall within the 3:00-3:40 range. Each track's focus is the chorus; whether a longing ballad or a fists-in-the-air anthem, all the musical choices are directed at the chorus hook. 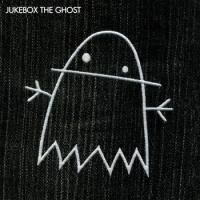 Jukebox the Ghost's music has always been pop, but this record sounds like the directive was to make a pop record in the most generic sense of the phrase. And while there are plenty of memorable moments throughout these eleven tunes, on the whole the decisions made in the recording process reflect a group that's oversimplified its sound to the lowest common denominator. Whatever unique quirks were present in LPs like Safe Travels and Everything Under the Sun have been replaced by the easiest possible musical choices. Numbers like "The One" and "When the Nights Get Long" are indistinguishable from any Capital Cities-esque top 40 would-be hit climbing the charts at the moment. Such is characteristic of the mood of almost all of the record, which, while never outright bad, feels like a collection of safe bets. Zoladz' comments on Safe Travels ring especially true here: this is music that's first and foremost eager to please. Even worse, in the oversimplifying of its sound, Jukebox the Ghost has made its biggest weakness more pronounced, namely its awkward ways of dealing with heavy emotional issues. "Made for Ending" is a big offender here; the chorus of that song consists of the refrain: "I should have known / Right from the start / That we were made for ending." Siegel here gives "Oh, Emily" a challenger for the title of Most Euphemistic Rationalizing. It's one thing to be at a loss for words after a breakup; it's another to use the equivalent of form language to try to convey some sense of feeling. These lyrics stand out all the more weirdly given the song's pop jaunt; like "Sound of a Broken Heart" right before it, "Made for Ending" botches its attempt to balance heartache and joviality. Then there's "Hollywood", which begins with the groan-worthy refrain "If all the world's a stage / Then you're my favorite actress." Surely, the Bard is rolling over in his grave, having heard one of his most immortal lines appropriated into a pickup line best reserved, if at all, for a tourist bar in Los Angeles. Yet in spite of all of these foibles, there are several instances where the trio's strengths do come out. Particularly stunning is "Undeniable You", which dives into the same well that At Last's "The Spiritual" did in its gospel inclinations. Backed only by an electric organ, Thornewill gives it his all over an earnest but unoffensive lyric, a nice respite from the faux depth that dominates the rest of the lyrics. Thornewill's vocals could well be the band's best asset, and here he gives one of the best performances he's done on any Jukebox the Ghost outing. Siegel's best vocal turn happens on the final song, "Show Me Where it Hurts", which manages to overcome its saccharine chorus lyric due both to Siegel's vocals and the well-placed strings that carry it to its conclusion. Although Thornewill and Siegel often take individual tracks to themselves, on "Long Way Home" their voices come together quite nicely, suggesting that the two should harmonize more frequently. Moments like "Undeniable You" and "Show Me Where it Hurts" display enough of the trio's charms to show that it hasn't completely lost the plot. Nevertheless, it's a shame to hear a talented group of guys churn out an utterly predictable and bland set of tracks. All of this would be less problematic if Jukebox the Ghost didn't stake its lyrical matter on a feeble attempt to put the pain of separation into words. Hearing "Sound of a Broken Heart", it's easy to get lost in the hook, but not long after its initial impact it becomes just how emotionally stunted its take on heartache is, as is the rest of the LP. The song is sad, but not in the way that Jukebox the Ghost wants it to be.